THE ACADEMIC AT the heart of Facebook’s data breach scandal has claimed he has been made a scapegoat by the social media giant and Cambridge Analytica, the company that obtained the information. According to the New Times and Britain’s Observer newspapers, Cambridge Analytica collected information from 50 million Facebook users’ profiles in the tech giant’s biggest-ever data breach, to help them design software to predict and influence voters’ choices at the ballot box. Aleksandr Kogan, a researcher from Cambridge University, undertook work for Cambridge Analytica in 2014. However, he claims he was not aware the data would be used to benefit Donald Trump’s campaign, according to the BBC. Kogan developed a personality app called This is Your Digital Life. 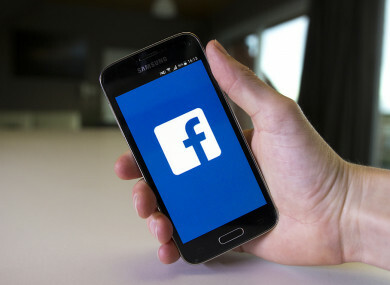 The app collected data from about 270,000 users, but it also scooped up data from friends, as was possible under Facebook’s rules at the time. The end goal was to create software to predict and influence voters’ choices at the ballot box. A Cambridge Analytica whistleblower, Christopher Wylie, told The Observer that the data from 50 million users was harvested by the firm. Speaking to BBC, Kogan said he was “stunned” by the allegations made against him because he was advised the app was entirely legal. “The events of the past week have been a total shell shock, and my view is that I’m being basically used as a scapegoat by both Facebook and Cambridge Analytica when… we thought we were doing something that was really normal,” he said. Cambridge Analytica blames Kogan for misusing the data, which it says was never used on the Trump campaign, and had in any event been deleted. Cambridge Analytica suspended CEO Alexander Nix yesterday after recordings were released by Britain’s Channel 4 News, in which he boasts his company played an expansive role in Trump’s 2016 campaign. Nix is also seen boasting about entrapping politicians and secretly operating in elections around the world through shadowy front companies. He also said the firm secretly campaigns in elections around the world, including by operating through a web of shadowy front companies, or by using sub-contractors, according to Channel 4 News. A Cambridge Analytica spokesman told the news programme it does not use “untrue material for any purpose”. Facebook, which says the data was taken without its knowledge, has launched its own investigation into Cambridge Analytica. But it was forced to suspend its probe following a request from Britain’s information commissioner, Elizabeth Denham, who is making her own inquiries into both companies. Denham’s office said it had yet to obtain a court warrant to search Cambridge Analytica’s servers and was now expecting to secure it tomorrow. More: ‘Appearances can be deceptive’ – CEO falls on sword, but did Cambridge Analytica swing the US election for Trump? Email “'I am being used as a scapegoat': Academic who mined Facebook data for Cambridge Analytica”. Feedback on “'I am being used as a scapegoat': Academic who mined Facebook data for Cambridge Analytica”.